Are you an avid jet setter? If you love to travel and can’t wait to head out on your next adventure, it’s necessary to have a holiday budget in place to meet your travel needs; as they say, investing in a vacation experience becomes a part of you. When you are under-35, despite a smaller travel budget and lesser vacation time, you will want to spend money on adventurous or unique experiences beyond traditional tours. Here we explore a friendly borrowing method such as a travel loan to spice up your dream holiday budget when you have a money strain but desire a vacation. What is a Travel Loan? 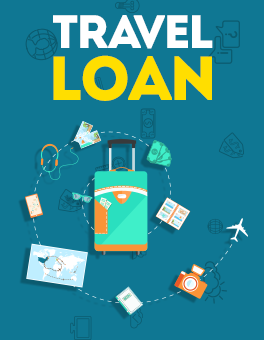 travel loan or a vacation loan is a short-term personal loan where you borrow lump-sum money from a bank or a banking alternative to fund your vacation expenses. When you take out a travel loan, you need to agree to your provider’s terms, and conditions, which include paying interest or any associated fees, upfront or ongoing, and you pay back the loan over an agreed timeframe. An online loan calculator can help you budget your monthly installments. Vacation loans do not have any collateral. But before approving a loan to you, your lender will verify your credit history and latest income to determine your creditworthiness. All leading banks in India provide loans for travel either directly as travel loans or a more general personal loan. Both types of loans can be used to fund travel related expenses like airfare, sightseeing, accommodation, and more. You can check with your bank to know their criteria for the loan and find out more about your eligibility with them online. 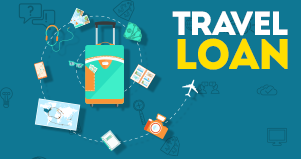 Travel loans are available from as low as INR 10,000. They are cheaper than credit cards, come with flexible repayment tenures and are quick and hassle-free to obtain. You can borrow more money with a travel loan than a credit card for a higher budget international trip with the consistency of a fixed interest rate. However, if you do not have a 750 credit score, a bank travel loan may not get approved. A bank loan rejection shouldn’t affect your domestic travel plans anymore. The good news is that many alternative lenders such as personal loans to salaried people as an alternative to a bank loan. You can use a CASHe loan to fund your travel expenses up to 2 lakh and repay in 30, 60, 90, 120 or 180 days depending upon your personal loan scheme with the alternative provider. CASHe is a fast cash loan app that helps you get instant money credit into your account with a smartphone swipe. You just need to install the CASHe app on your smartphone and follow an easy and straightforward sign-up procedure. CASHe can help you with quick cash for an exquisite holiday experience when you have an unexpected budget strain before a holiday. CASHe cares about your experience and debt isn't bad when borrowed responsibly; short-term cash loans from CASHe can help you achieve your long-term goals by improving your credit score with timely payments.